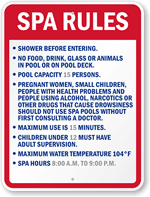 This 24" x 18" Pool Rules Sign is a standard in pools all across america. 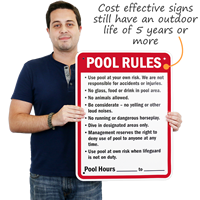 Made from polyethylene, this plastic Pool Sign will resist wind and water. 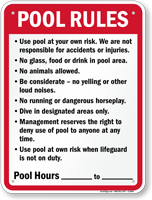 • Screen printed onto a 55 mil thick HDPE (High Density Polyethylene). 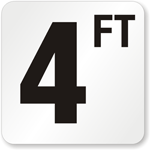 Ideal for security, private parking, or property rules signs. 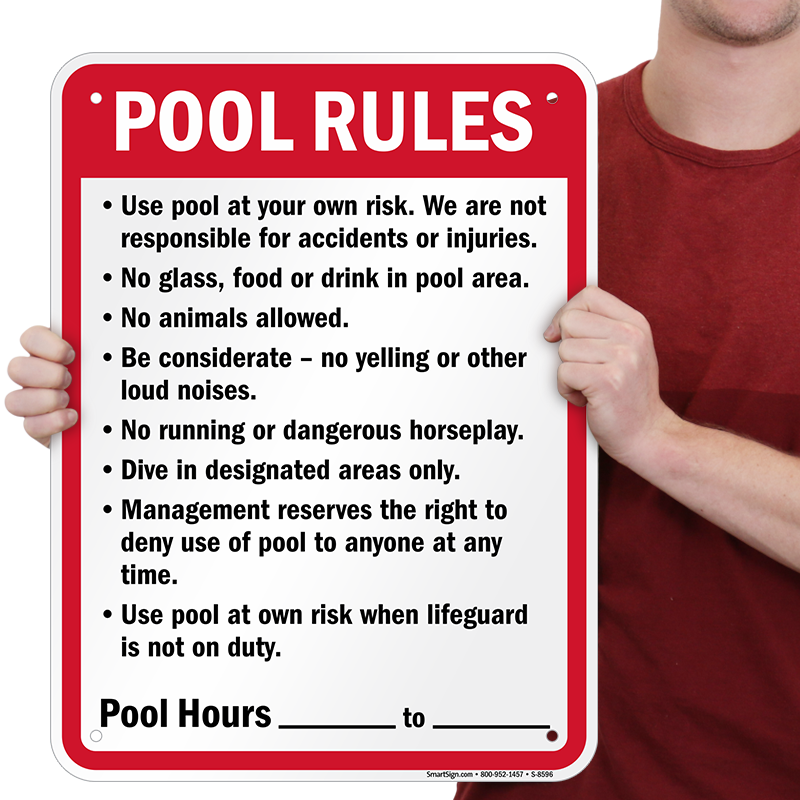 • Signs are corona treated prior to printing with solvent based screen printing inks. • Screen printed for an outdoor life of over 5 years. They are highly resistant to water, weather and high temperatures. • Not reflective and do not meet the MUTCD standards for parking signs posted on public, accessible roads or parking facilities. 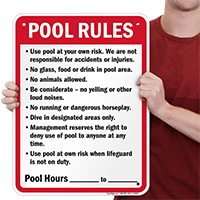 • Lightweight signs have rounded corners for a professional appearance, and are easier to install. • Two mounting holes align with the hole pattern for U-channel posts. 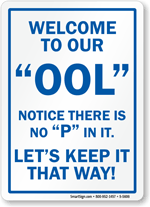 Easily mounted to a fence, wall or doors. 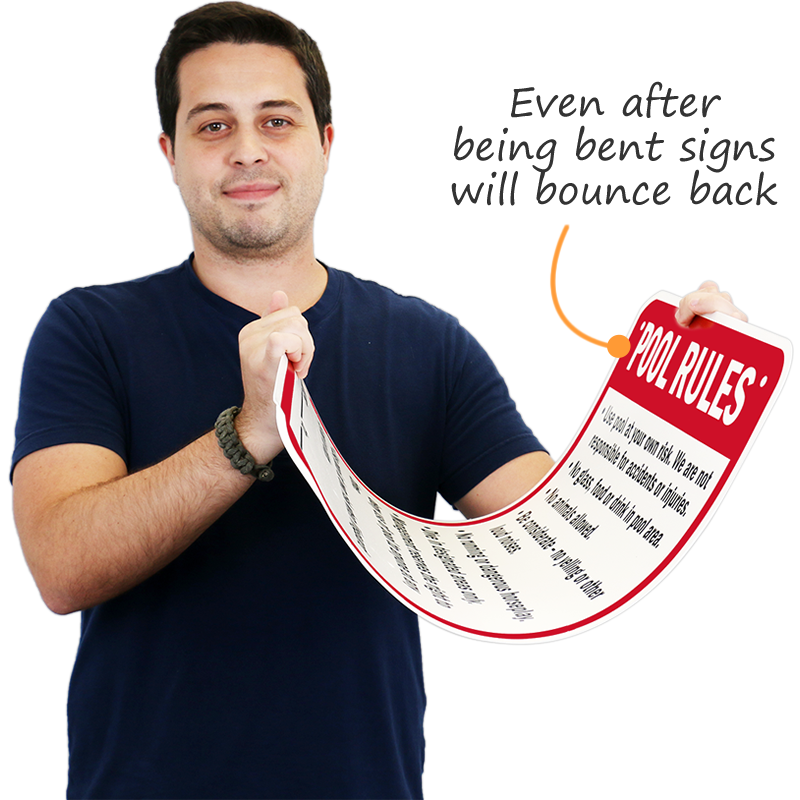 Signs can also be nailed to a wooden fence. Great sign for the price. Easy to read easy to put up and what I expected. Highly recommend, gave 4 stars due to the fact that yes it is plastic so maybe isn't as "professional" as a metal sign would be. 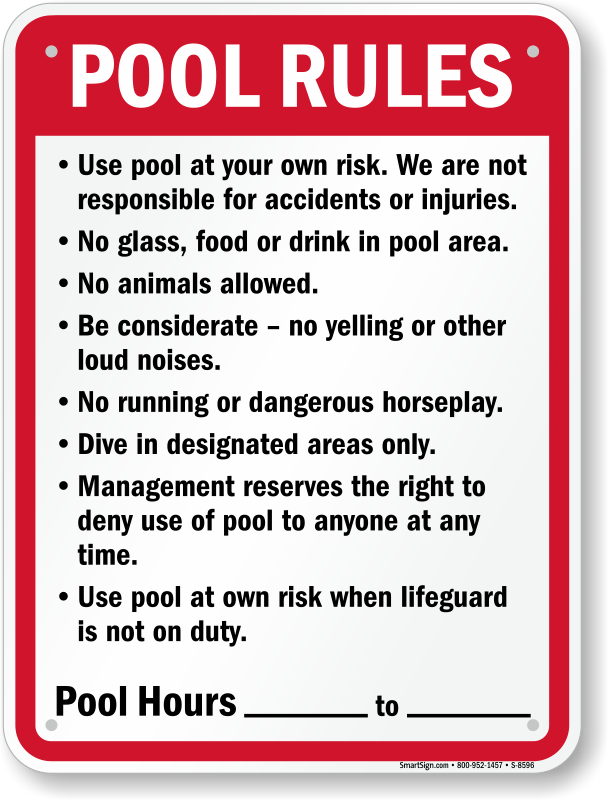 Though, for a plastic sign looks like it will do the job well, only time will tell how the color will hold up in the sun. 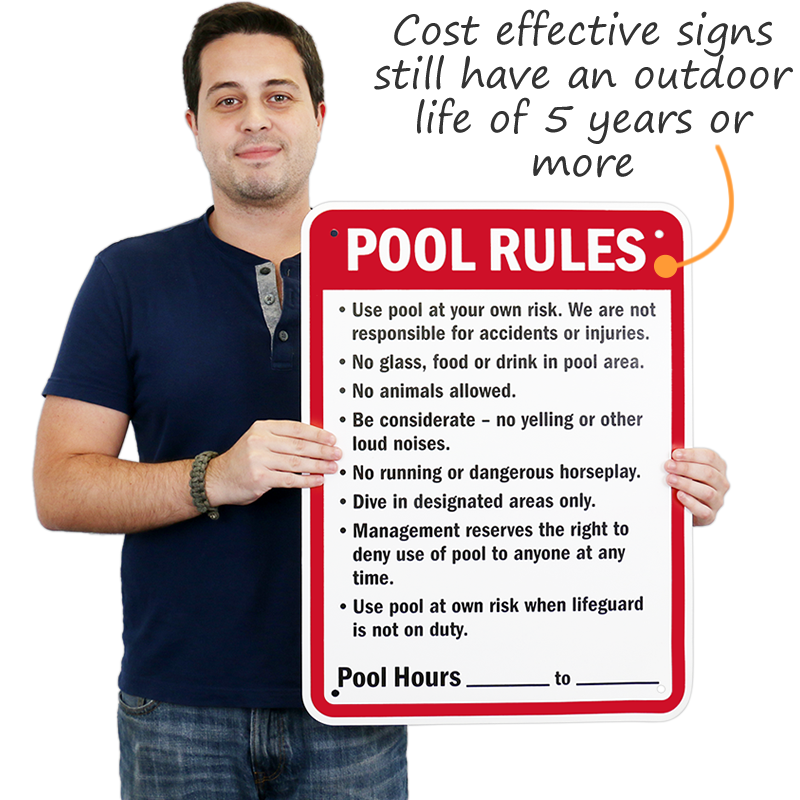 Compared to many signs though it is a fraction of the cost and I could always buy another sign. Hope this helps!